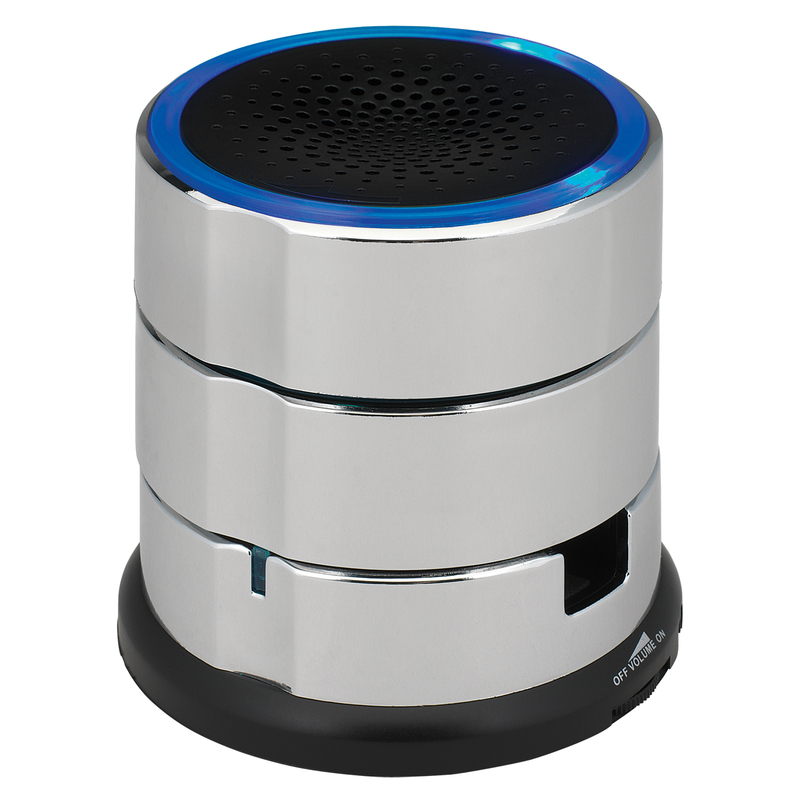 Take the JENSEN® SMPS-222 Portable Speaker System with you when you're on the go. 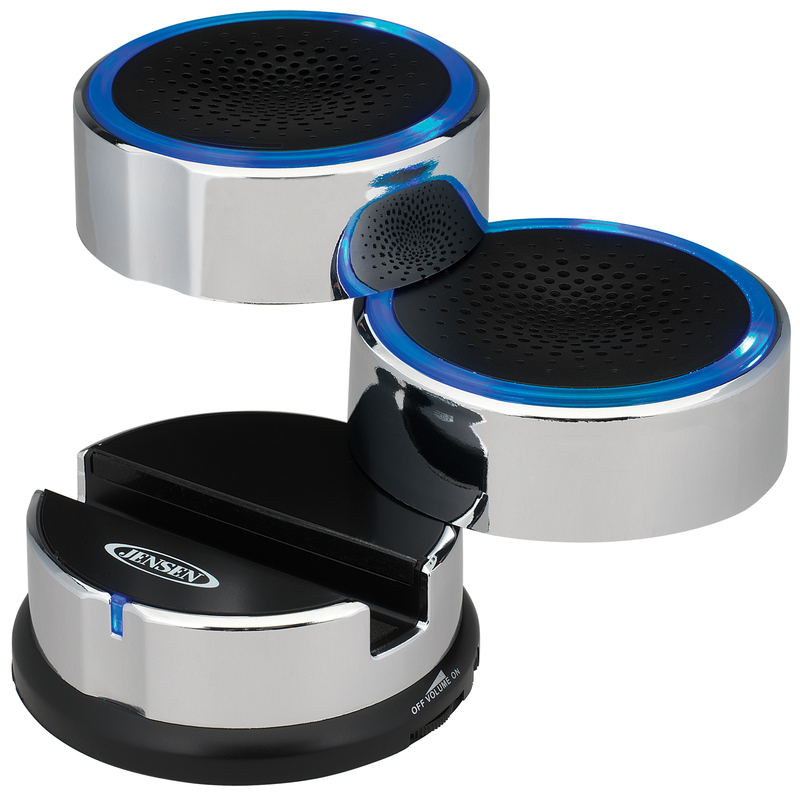 Enjoy the convenience of a compact speaker that has the ability to hold your tablet, eReader, smartphone, iPad®, iPhone®, iPod®, MP3, or other digital audio player. 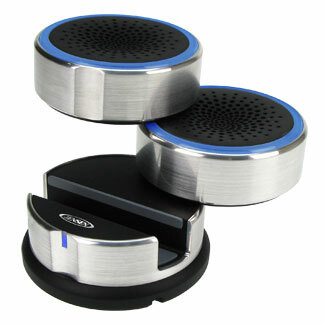 Speakers swivels left and right when listening to music, then rotate back into compact unit for easy packing. 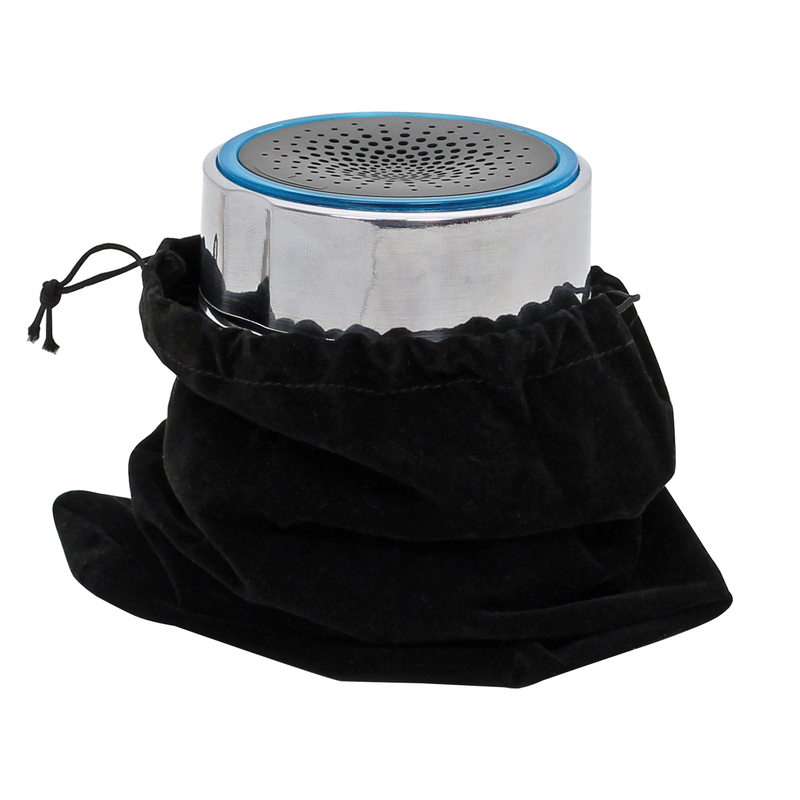 A carrying pouch is included to ease the transport of this lightweight speaker that projects great sound. The unit is powered by three (3) x "AAA" batteries (not included).